Here’s a 4 minute video that describes the terms of the European Stability Mechanism (ESM) treaty among the nation of the European Union (EU) that is reportedly scheduled to replace the existing European Financial Stability Facility (EFSF). Lots of acronyms, hmm? 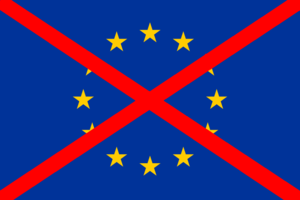 EU, EFSF, ESM. They’re confusing. Hard to remember and keep straight in your mind. The average American may not be interested in the ESM or EFSF—after all, those institutions are intended to deal with EU problems, so why should Americans care? Americans should care because, as you’ll read, North America may soon face problems similar to those of Europe, and be similarly tempted (or terrified) by our own “American Stabilization Mechanism” (“ASM”) to solve those problems. If you understand the strategy being used now, by the New World Order with the ESM in the EU, you may be able to later recognize same strategy if they try to create an “ASM” for North America. There are only so many moves on the board. There are only a relatively few fundamental strategies. What they try in Europe, they will probably try here, too. Here’s a video interview of the editor of Rolling Stone magazine on the subject of Texas Governor Rick Perry. 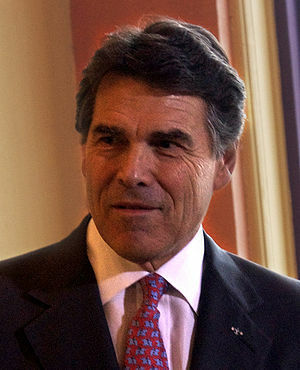 It offers evidence that Rick Perry is a money-lovin’, treasonous S.O.B. who’s had “this state” up for sale throughout his terms as Governor. Unless the allegations in Rolling Stone magazine can be absolutely refuted, Perry’s shot at the White House is done. Good. The sleazy S.O.B. may belong in prison–but, like most or the rest of the candidates (including Obama) he certainly does not belong in the White House. Thank God for the internet . . . and investigative reporters. I’m somewhat fixated on the concept of “definitions”. If you haven’t already seen my article “Definitions: The Law of the Law” at https://adask.wordpress.com/2011/10/24/definitions-the-law-of-the-law/#more-10319) you ought to read it as an introduction to this article. 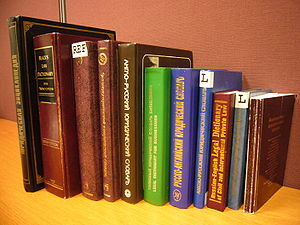 • Title 1, Section 215 of the Arizona Revised Statutes lists 46 definitions. “Signature” or “subscription” includes a mark, if a person cannot write, with the person’s name written near it and witnessed by a person who writes the person’s own name as witness. This 30-word definition is complex and confusing. I see this confusion as emanating from the fact that the words “person” and “person’s” each appear twice in the 30 word sentence. The word “person” (more or less) appears four times in the same sentence. This might be the single most important email I’ve ever received. It’s just an email. It might be a hoax or a mistake. But I think it’s true. If it is, the whole damned governmental system is in jeopardy. 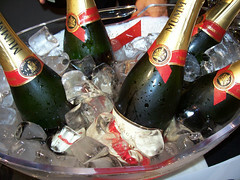 It just might be time to break out the Champagne! It appears that a North Carolina court has ruled that the “police” are actually working for private entities (private companies) and are not associated with The State of North Carolina. This ruling conforms to ideas I’ve advanced on this blog and on my radio show for several years. Because the purported “police officers” are working for private companies, they are not entitled to official immunity. Thus, police officers are being warned to put all of their personal property into someone else’s name since it might otherwise be lost in the event that a “police officer” is sued for assault or some other kind of lawbreaking. 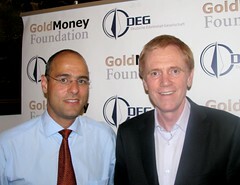 Mike Maloney is the author of the world’s best selling book on precious metals investing. Since 2003 he’s advocated gold and silver as the ultimate means of protecting wealth from the games played by our governments and banking sector. In the video presentation (below) he lays down his ‘most likely’ scenario for the global economy over the next decade, including short term deflation, followed by big or even hyperinflation. He defines inflation/deflation, the difference between currency and money, price vs value, ‘Wealth Cycles’, gold and silver accounting for the expansion of fiat currency, gold and silver supply and demand, the differences between the today’s bull market and that of the 1970s, The Debt Collapse, and more. No one can know for a fact, how high (or low) the price of gold will be at some time in the future. Mr. Maloney’s prediction of $20,000 gold may or may not take place. Nevertheless, Mr. Maloney makes a very common sense, easily understood presentation of fundamentals about gold and silver and presents a very rational basis for his predictions. Gold might not be going to $20,000 an ounce. Maybe it’s only going to $5,000 . . . or maybe it’s going to $30,000/ounce. But Mr. Maloney’s presentation makes a powerful argument that gold is inevitably going significantly higher and can be expected to rise by at least 100% and could rise by 1,000%. His presentation is a primer for anyone trying to understand our modern monetary system and the rationale for investing in precious metals. Although this presentation is about a year old, it’s a great presentation. A relatively new idea is circling the internet: bank runs. I.e., We the People can control “them, the banksters” by simply withdrawing our savings in a coordinated manner. We can collapse the whole damned banking system by simply closing all of our accounts on the same day. The banks can’t withstand a determined “run” on the banks. It’s uncertain whether a significant bank run will take place in the next several months. But, the idea is powerful. Despite all of the influence (bribery) that the banks exert over Congress and the White House, We the People can shut ’em all down any time we decide to act in concert to cause a bank run. We truly hold the power. While a bank run might not take place in the foreseeable future, the power of bank runs is so explosive that it’s inevitable that we will see major banks at some future date. 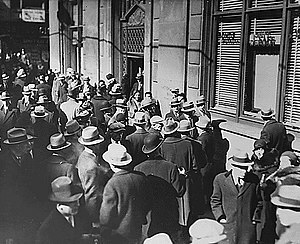 Sooner or later, the people will become so fed up with the banking system that they’ll “pull the plug” and participate in nation-wide bank runs. Bank runs are the nuclear option. Make no mistake–a nationwide bank run on all banks will collapse the banking system and the economy. This is no game. If a nation-wide bank run took place, lots of people might die in the ensuing chaos. I’ve observed for several years that definitions are the “law” of the “law”. As Bill Clinton once observed, when it comes to knowing what a law means, “It all depends on what the meaning of ‘is’ is.” In other words, the meaning of every law depends on the underlying definitions of every word used to comprise that law. This implies that if you’re charged under a particular law and you can successfully refute the presumed definition of just one of the key words in that law, you may be able to defeat the charges.